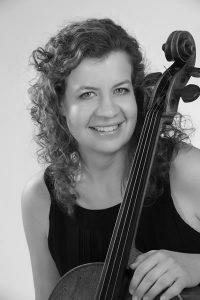 German Cellist Verena Sennekamp, lauded for her “miraculous effortlessness” and “inspiring interpretation”, makes regular appearances as both soloist and chamber musician in Europe and abroad. She has appeared at major venues like the Carnegie Hall, the Philharmonie Cologne, the Tonhalle Düsseldorf and the Victoria Hall Geneva. 2016/2017 performances included Tchaikovsky Rococo Variations and Tartini Cello Concerto. Verena Sennekamp is a laureate of the New England Chamber Music Competition and has been awarded with the European Regio Culture Initiative Prize. She has appeared at various International Music Festivals such as Norfolk Chamber Music Festival, Banff, Manchester Summer Chamber Music, Mendelssohn Musiktage Krakau, D’Accord Klassikfestival and Gstaad New Year’s Festival. Ms. Sennekamp has frequently been invited to perform for the German Embassy and the Goethe-Institut. Concert tours included El Salvador, Bulgaria (Sofia), Poland (Cracow), Switzerland (Geneva), Japan (Tokyo), The Philippines (Manila) and Indonesia (Jakarta). Verena Sennekamp is a dedicated performer of contemporary music. She is founding member of Trio Chambre d’écoute with whom she regularly appears at New Music Festivals and concert series, collaborating closely with composers and other experimental instrumentalists. Verena Sennekamp is a graduate of the Hochschule für Musik Karlsruhe, the Amsterdam Conservatory and the Yale School of Music. Her principal teachers have included Aldo Parisot, Dmitri Ferschtman, Anne Speermann and Barbara Varsanyi. Other sources of influence and inspiration include Mario Brunello, Anner Bylsma, Steven Doane, Ralph Kirshbaum and Phillipe Muller. In 2012 Ms. Sennekamp was named Artistic Director of the Nonnenwerther Inselkonzerte, a concert series on the beautiful Nonnenwerth Islandin the Rhine river near Bonn. In 2013 she joined the faculty of the Berufsakademie for Musik inDinkelsbühl/ Bavaria.